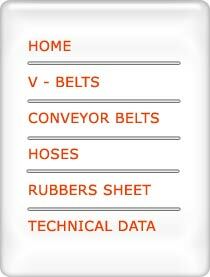 Rubber Sheets are available with various types, grades and profiles with and without fabric insertion. It is also available with cushion back (fabric impression back) in various thickness, Range from 5 mm to 100 mm, width upto 200 mm. with different patterns and also available in continues lengths of 10, 20, 50, 100 to 200 meters. Natural Rubber / SBR - having a good machining properties / weather resistance, heat resistant & abrasion resistant. For roof sheet, tank lining Acid resistant and steam resistant. 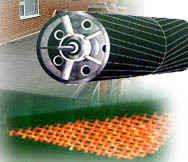 For oil resistant pulley, float roof sheet, heat resistant, food grade etc. Most suitable for oil, fats & temp upto 200°C. For high temperature upto 300 °C. Best for oil & fats.